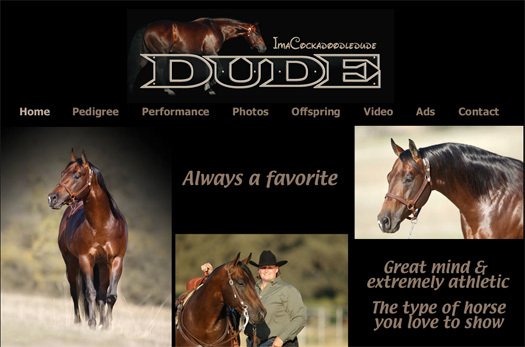 Created this site in 2010 to showcase the talents of this horse, named Imacockadoodledude. The design was all done by abbaroo.com from the specifications of the client. Photos and videos were also included to show off this beautiful horse.